The United States Naval Observatory (USNO) is one of the oldest scientific agencies in the United States, with a primary mission to produce Positioning, Navigation and Timing (PNT) for the United States Navy and the United States Department of Defense. Located in Northwest Washington, D.C. at the Northwestern end of Embassy Row, it is one of the pre-1900 astronomical observatories located in an urban area; at the time of its construction, it was far from the light pollution thrown off by the (then-smaller) city center. The USNO operates the "Master Clock", which provides precise time to the GPS satellite constellation run by the United States Air Force. The USNO performs radio VLBI-based positions of quasars with numerous global collaborators, in order to produce Earth Orientation parameters. The U.S. 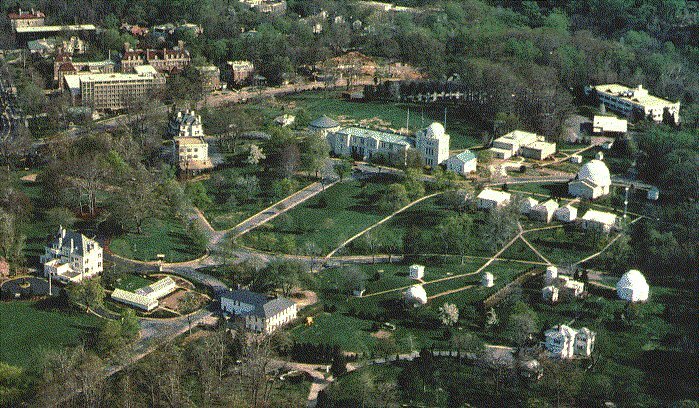 Naval Observatory operates two Master Clock facilities. The primary facility, in Washington, D.C. maintains 57 HP/Agilent/Symmetricom 5071A-001 high performance cesium atomic clocks and 24 hydrogen masers. The alternate master clock, at Schriever Air Force Base, maintains 12 cesium clocks and 3 masers. The observatory also operates four rubidium atomic fountain clocks, which have a stability reaching 7×10. The observatory intends to build several more of this type for use at its two facilities. The USNO also operates a modem time service, and provides time to the Global Positioning System. No Photography: US Military Active Sensitive Facility: All Photography are prohibited in certain areas. Photography must be done only with permission. Students can expect to learn the physics, mensuration, mechanics and atomic science of different types of clocks and horological instruments.